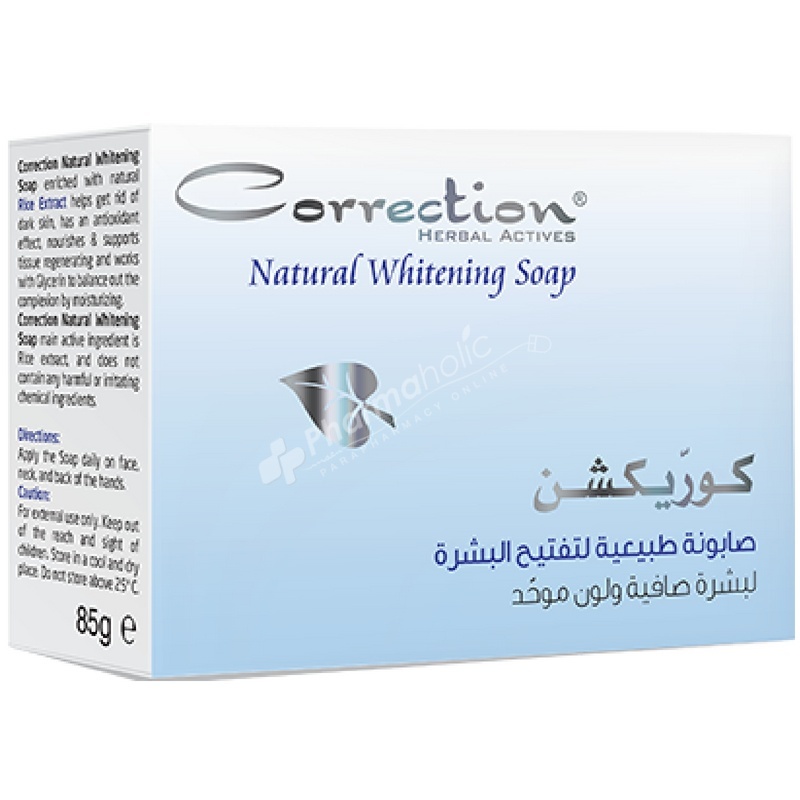 Correction Natural Whitening Soap enriched with Mushroom Extract provide unprecedented efficiency to lighten pigment spots and skin discoloration in a record time. Lighten pigment spots and skin discoloration . Rich with Mushroom Extract ( kojic ). Record time efficiency within two weeks. Apply the soap daily on face, neck, and back of the hands. Glycerin, Sulfuric Acid, Monococ Alkyl Esters, Aqua, Sugar, Palmitoxyloxymethyl (0.4%), Sodium Chloride, Fragrance, PEG-40 Hydrogenated Castor Oil.